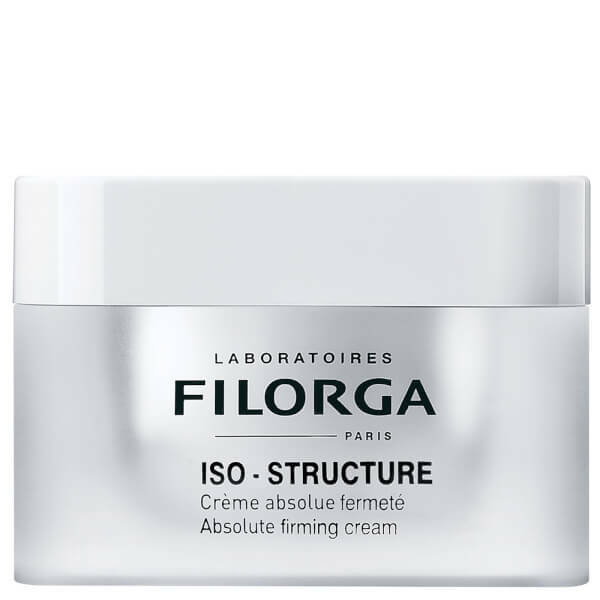 Visibly lift the complexion with the Filorga Iso-Structure Absolute Firming Cream; an effective formula that works to combat loss of elasticity, common in mature skin types. The hydrating cream is enriched with Hyaluronic Acid, which offers a veil of essential moisture to skin, while working harmoniously with a powerful peptide to offer anti-ageing properties. 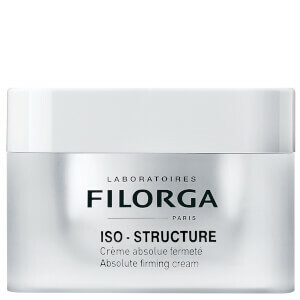 Utilising a regenerating complex, the firming cream delivers a lifted appearance and ensures skin is visibly supple and firm. Rich and comforting, the soothing formula leaves the complexion smooth and youthful. Apply morning and evening to the face, neck and décolleté, after first washing thoroughly. Apply directly to the skin, or over your usual Filorga serum. Massage in using the fingertips. Aqua, Glycol Palmitate, Sesamun Indicum (Sesame) Seed Oil, Octyldodecanol, Cyclopentasiloxane, Sorbitol, Hydroxyethyl Urea, Glycerin, Cetearyl Alcohol, Cetearyl Glucoside, Persea Gratissima (Avovado) Oil Unsaponifiables, Butyrospermum Parkii (Shea Butter), Hexyldecanol, Polyacrylate 13, Polyisobutene, Polysorbate 20, Butylene Glycol, Hexapeptide-10, Pyrus Malus (Apple) Fruit Extract, Trideceth-9 Pg-Amodimethicone, Trideceth-12, Sucrose Palmitate, Glyceryl Linoleate, Prunus Amygdalus Dulcis (Sweet Almond) Oil, Sodium Hyaluronate, Tocopherol, Calcium Chloride, Potassium Chloride, Magnesium Sulfate, Sodium Acetate, Sodium Chloride, Sodium Phosphate, Amino But Acid, Glucosamine, Glucose, Glucuronolactone, Glucuronic Acid, Glutathione, 5-Methyl 2’ Deoxycytidine, Thiamine Pyrophosphate, Coenzyme A, Sodium Flavin Adenine Dinucleotide, Nicotinamide Adénine Dinucléotide, Sodium Nicotinamide Adénine Dinucléotide Phosphate, Sodium Uridine Triphosphate, Alanine, Arginine, Asparagine, Aspartic Acid, Cystine, Glutamine, Glutamic Acid, Glycine, Histidine, Hydroxyproline, Isoleucine, Leucine, Lysine, Methionine, Ornithine, Phenylalanine, Proline, Serine, Taurine, Threonine, Tryptophan, Tyrosine, Valine, Ascorbic Acid, Paba, Biotin, Calcium Pantothenate, Folic Acid, Inositol, Niacin, Niacinamide, Pyridoxal, Pyridoxine, Riboflavine, Thiamine Hcl, Tocopherol Phosphate, Tocopheryl Acetate, Cobalamine, Desoxyadenosine, Desoxycytodine, Desoxyguanosine, Desoxythymidine, Acrylates/ C10-30 Alkyl Acrylate Crosspolymer, Sodium Hydroxide, Disodium Edta, Bht, Parfum (Fragrance), Phenoxyethanol, Methylparaben, Butylparaben, Ethylparaben, Propylparaben, Isobutylparaben.